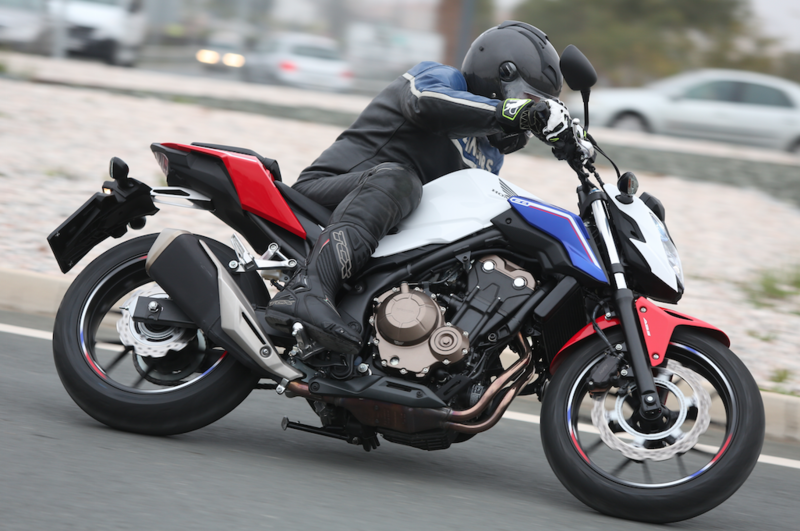 2016 Honda CB500F and CBR500R – Review. Pretty successful bikes, the old Honda CB500F and CBR500Rs. Since they hit the shops in 2013, over 90,000 of the novice-friendly, Thai-built twins, have left the showrooms. A third of that number rang the tills in Europe, with the naked CBF model doing that more often than the fully-faired CBR. For this year, Honda reckoned it was time for improvement. 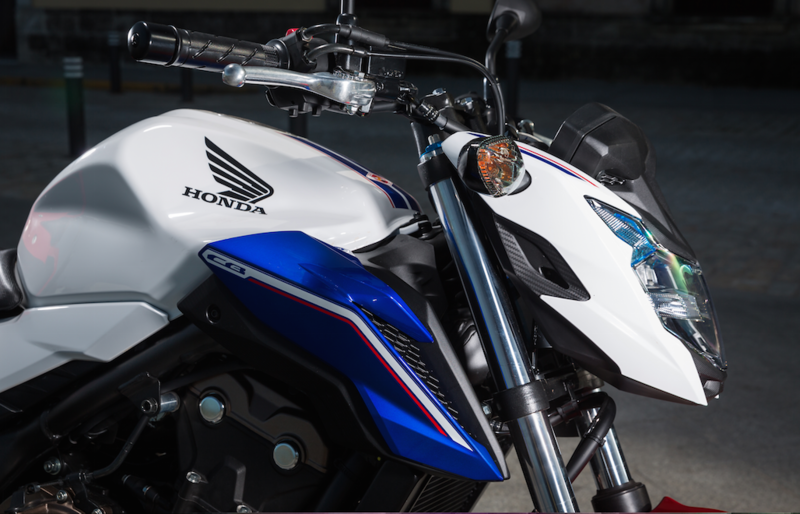 The firm’s PR men say the changes to the bikes represent more than just an upgrade, but when stuff like a new ignition key, hinged filler cap, and adjustable brake lever are mentioned in the list of mods, I reckon upgrade is a fair description. In fairness, some of the other changes like a slightly freer-breathing intake system and new exhaust can, along with refinements to the gearbox and suspension are likely to be more influential. The new styling is the biggest step in the right direction, with the distinctly sharper lines of the new Hondas making them look very up to date and attractive to the eye. Still theory is one thing, practice is another, and only riding can reveal just how much difference the changes make. 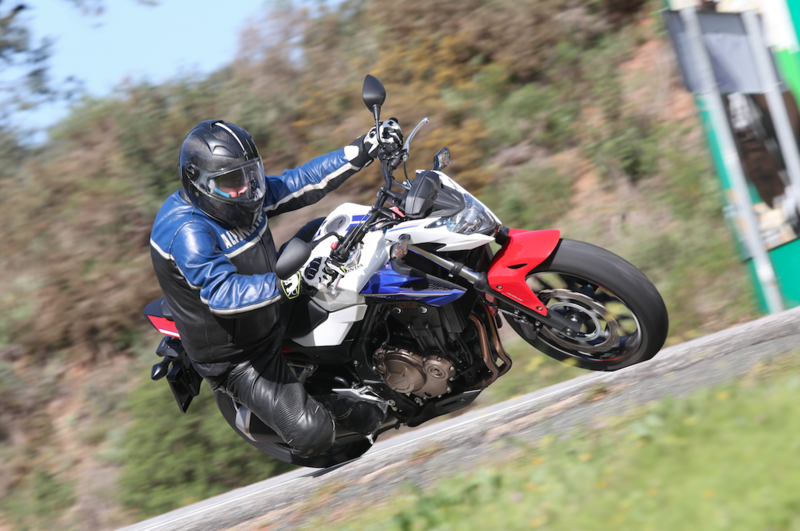 So…..
To be dead honest, as it’s been a while since I piloted either of the 500s, giving you a definitive opinion on how much better the new bikes are over the oldies isn’t really possible. Telling you how the ’16 bikes ride though, very much is. Both are pretty impressive little tools, though I was surprised by which one I’d recommend more. 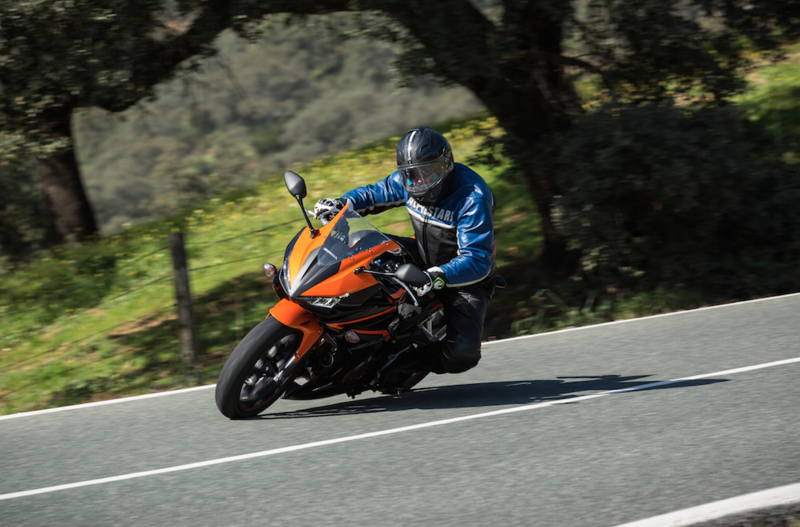 Riding in Spain, not far from Seville, began on the F model. Impressions of the bike started well. It might be a budget-priced bike of quite basic spec, and with a claimed max power of just 47bhp it’s obvious the bike’s not going to make you say ‘wow’ very often. If ever. However, with it feeling as light as it does (it’s actually 190kgs fuelled and ready to ride), it’s clear the CBF has some potential for fun. With strict instructions to take it steady behind the DayGlo-vested Honda outrider along fairly dull routes for the first hour of so, uttering that word wow was never considered once. But I did catch myself muttering stuff like ‘useful’, ‘dead easy’, and ‘sorted’ quite regularly. For who it’s primarily designed for, the inexperienced moving up from their 125s and 250s, the CBF is dead on. Everything works, and works effectively. The motor’s pretty keen to spin up, and has some healthy zippy punch to it. Chucking it about is a piece of cake thanks to the low weight and leverage the wide bars offer. With what seemed like half decent suspension action, good brakes and a low seat height, the Honda quickly got a thumbs up for sensibility at least. After getting some pics in the bag, Honda then took us along a proper twisty, roller coaster route through a local hilly zone. As is the case on many press launches, it wasn’t long before the journo pack upped the pace to get the best out of themselves and the bike. The 500 instantly proved it has enough sporting potential to be fun. I still never said wow at any point, but I did grin a lot from the good time I was having. 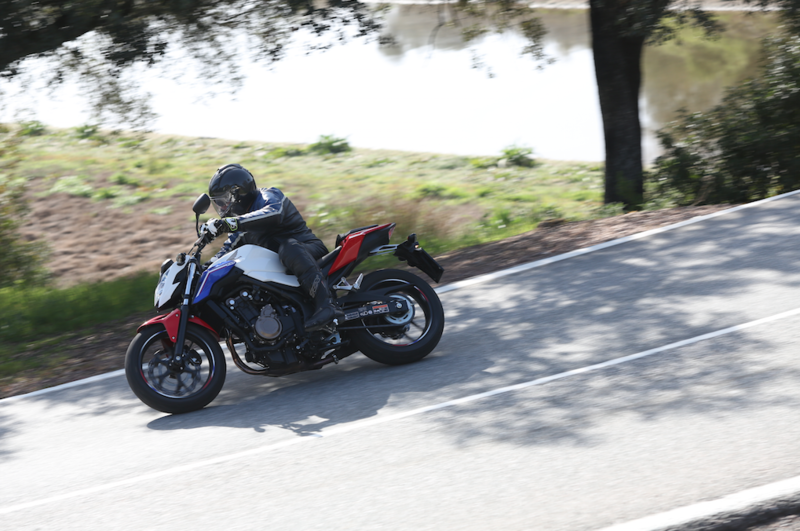 With the limited power it has, there’s never any chance of stuff like charging hard out of corners and having to hunch over the front to counter wheelies. Instead there’s an emphasis on error-free riding to make best progress. Gearchanges, lines, and braking points are all essential to get spot-on to maintain momentum. 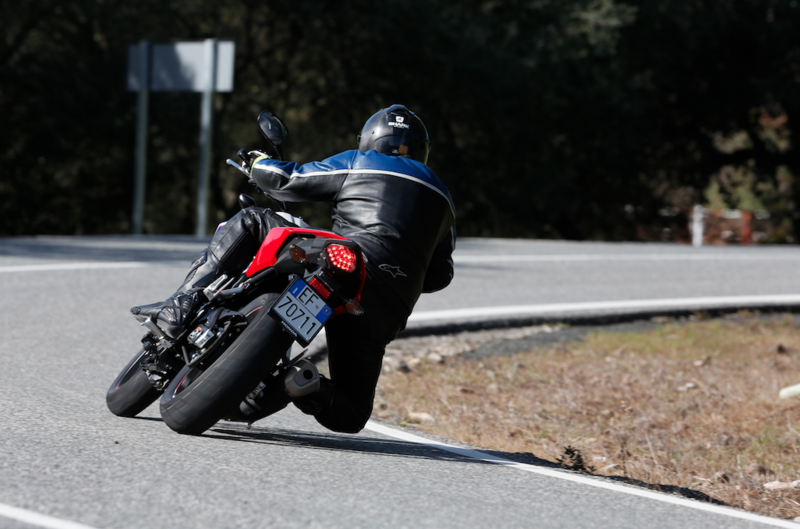 This exacting style of riding was also essential to avoid a painful slip off. With the options of battering yourself promptly against roadside furniture, or flying down the side of one the hills, never to be seen again, there was plenty of incentive to stay in the seat. But given the way the Honda takes everything in its stride so well, it felt safe to keep it pinned. 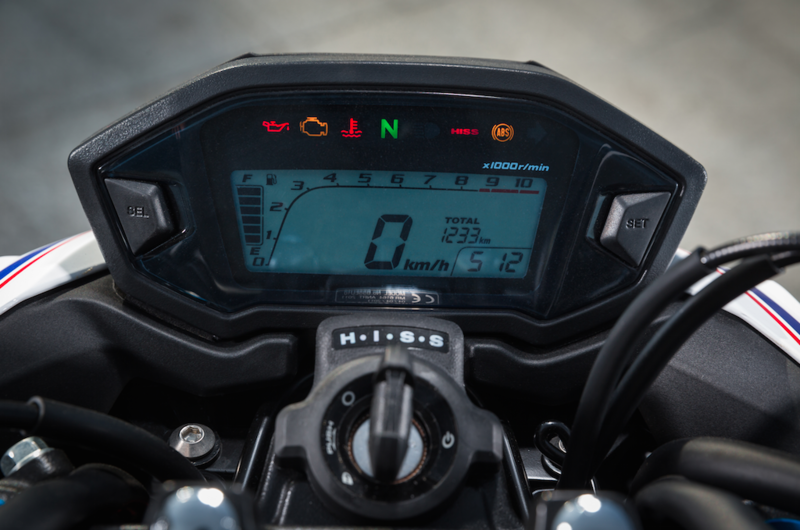 I don’t think I ever saw too much more that 90mph on the digi speedo, and I’ll doubt it’ll go much faster than 105mph flat out. But that lack of sheer pace couldn’t limit laughs. You really can give the Honda some stick and trust it to do a good job. That engine can be thrashed to its 8500rpm limiter without complaint, sounding more than happy to be caned. The delivery is super friendly, and very smooth, with neither spikes of power or vibes to make life uncomfortable. It can’t really be described as anything other than very friendly and very manageable. Better still, when you don’t quite get the choice of gear right, the midrange pulls the bike forward well enough not to lose too much pace, or force you to tap down into a lower ratio – even though doing that is slick and easy. All in all, it’s a surprisingly forgiving motor. Arguably more impressive is the way the CBF handles. On paper there’s nowt much to shout about, with a steel-tubed frame and very basic suspension managing affairs. And with a suspicion that the single front disc and OE tyres might not be able to cope with harder progress, I was both surprised and relieved to discover ‘going for it’ felt pretty damned composed. The Dunlops deal with everything you can dish out, and deserve a fair bit of praise. The brakes are well up for letting you charge hard up to corners, with the secure feel they generate letting you happily trail brake into bends to finish off proceedings. When the ABS is very rarely triggered, it reapplies braking pressure promptly to avoid too much run-on. This year’s bikes have preload adjustment on the forks for the first time. And with the initial part of the front and rear suspension’s stroke having more control, dealing with the all the forces generated by banzai riding never seems too much for the springing and damping arrangements. Only once did I feel the rear shock give in a little over a whopping great bump resulting in a sudden and significant squat. The rest of the time I had no real room for complaint. The most obvious outcome of the rush through the Spanish hills was the grinning at the end of it. 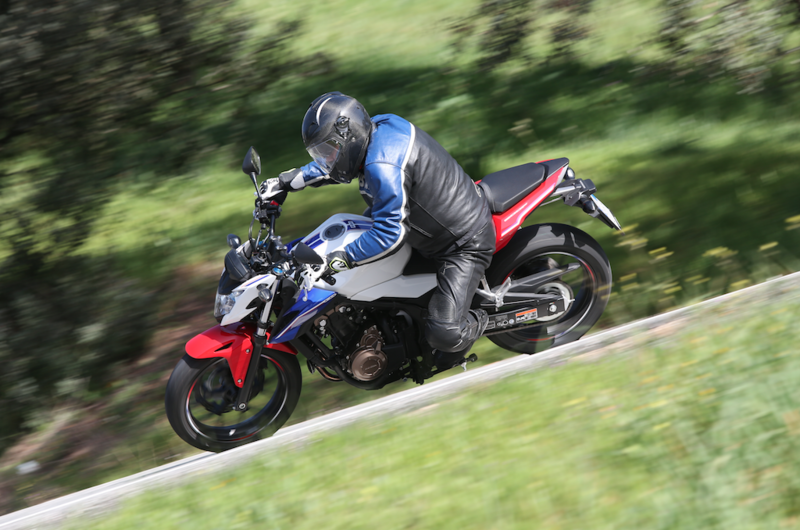 Everyone had a laugh riding the CBF, and with the CBR version reputably offering even more, after swapping bikes I left the lunch halt anticipating a further dose of hilarity. Now here’s the funny thing, that ‘extra’ that had been promised by the R never really came. It’s a great little bike, and with that sharply styled full fairing, really looks a lot more than a modestly powered novice bike. It did everything as well as the F did, and could be ridden just as hard, just as confidently. But it was a little short of the fun factor the F model has in such spades. With the only real difference between the two being the riding position and the fairing, it’s hard to realise why they should feel so different. With the 50mm lower bars possibly offering a bit less leverage, they alone might have been the reason why the R didn’t feel quite as responsive to steering input – even though it was still dead easy to change direction on it. Maybe is was the extra shelter offered by the fairing and its new shaped screen making it feel less raw and involving. Whatever, the R just doesn’t feel quite as much of a laugh as the F. At first, I thought I must have scoffed too much grub and had my enthusiasm knocked down a peg. But talking to the other testers revealed similar opinion. The difference between the two isn’t huge, but it’s still apparent. If I was to make a choice, I’d opt for the naked bike, and the £500 that would also save every time. Being as capable as they are, I do see the CBF and CBR selling as well as the originals. 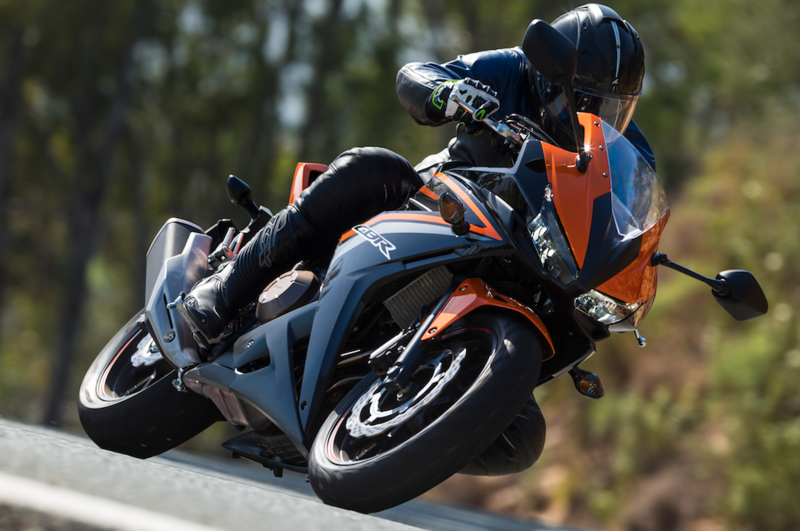 They’re capable, easy to master little tools for not much cash, deserve to be popular, and offer a great and safe step-up to FireBlade ownership – even if they are unlikely to make you go ‘wow’ at any time. Both will be in the shops from April. For more information and to find your nearest dealer, click here.